This month I am writing to you from Munich, where I have just attended the Munich Satellite Navigation Conference. 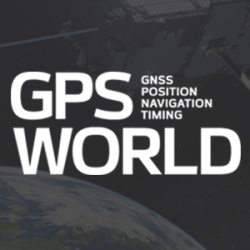 I have written up the full Summit proceedings for GPS World’s new European GNSS & Earth Obersvation Report (EAGER) newsletter. You can read that (much longer) column here and while you’re at it, sign up for the new quarterly newsletter. What follows is an excerpt of it, specially focused on professional GNSS OEM interests. I used to spend quite a lot of time in Munich working on a multi-national, multi-role fighter aircraft program, so returning for this year’s Munich Satellite Navigation Summit stirred some good memories for me. Held in the opulent Residenz Muenchen March 25-27, the conference always has a special atmosphere that these historic 1385 surroundings convey to the attendees. The first day’s session contained constellation updates from GPS, Galileo, Beidou and the UN International Committee on GNSS (ICG) — GLONASS delegates were notably absent. There was much speculation that they declined to attend due to the Crimean situation, and one U.S. delegate even inferred that they were “uninvited.” For the constellation updates, see the longer article referenced above. Vidal Ashkenazi, in his inimitable form, lead a panel discussion on interference, jamming (in particular Personal Privacy Devices, or PPD) and spoofing, and coaxed his panel members to provide a whole bunch of information on what’s being done, mitigation capabilities and potential enforcement. Unlike all the other sessions, Vidal’s panel members didn’t use presentations, but rather responded to wide-ranging questions on the subject from the session chair. For a complete view of this, as well as a subsequent session on “Legal Impacts of Personal Privacy Devices (PPDs),” see the EAGER newsletter column. The group discussing PPP options consisted of the the European GNSS Agency (GSA, charged with exploitation of Galileo services), several principle industry service providers of PPP, and the federal agency, which provides PPP-like services in Germany.